degree, applicants must have obtained a minimum average of 65% in their Psychology honours degree or 4th year of their BPsych degree. MPsych applicants will also have to undergo a selection process to ensure academic capability and personal suitability. The Masters of Psychology (MPsych) degree is only offered on a full-time basis. It is offered over a minimum period of three years which includes a full-time one year internship in accordance with the HPCSA regulations. The MPsych degree offered by MGI has been developed in order to meet the psychological needs of the South African population. Accredited with the HPCSA, the course allows students to gain in-depth knowledge of the major paradigms, principles, methods, and theories of psychology and human behaviour. Students are provided with a solid grounding in the academic theory underpinning the main concepts of the field of psychology. In addition, practical and interpersonal skills are developed in order to prepare the student for the profession of Counselling Psychologist. This, combined with an emphasis on ethical considerations and an unrelenting demand for excellence, provides the comprehensive training required to produce quality professionals. The curriculum comprises a two year theoretical component which includes the completion of a research dissertation. Successful completion of all academic requirements will lead to a one year internship which serves as the third and final year of the MPsych programme. 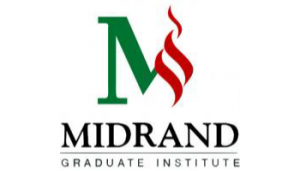 The programme is exclusively offered at the Midrand campus over two years with an internship in the third year. For more information please contact a student advisor.